At persent, more and more people want to control their household appliances conveniently, maybe this project can help you. You can easily turn on/off your table lamp through web brower, sound and button. 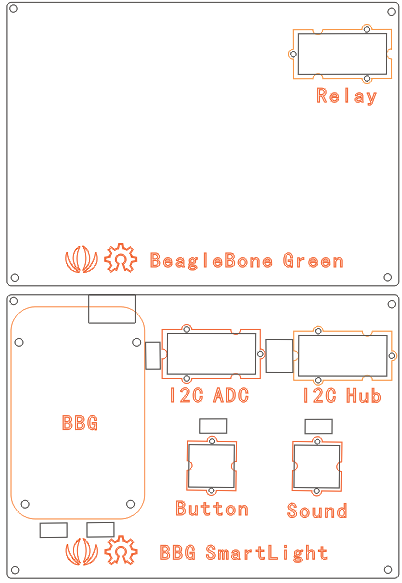 This project is made with BBG, the full name of BBG is BeagleBone Green which is designed by SeeedStudio. 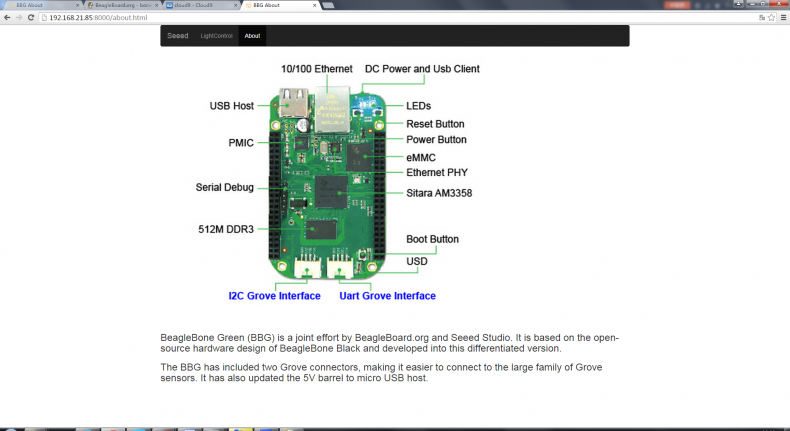 BeagleBone Green is a low-cost, community-supported development platform for developers and hobbyists. Boot Linux in under 10 seconds and get started on development in less than 5 minutes with just a single USB cable. And more important, it’s compatible with Grove. Show off your cool project to your friend. At first, maybe you also need the Acrylic plate to fix the Grove Modules as shown in the picture. You can click https://github.com/Lee-Kevin/Smart_Light_BBG/blob/... to download the design drawing. 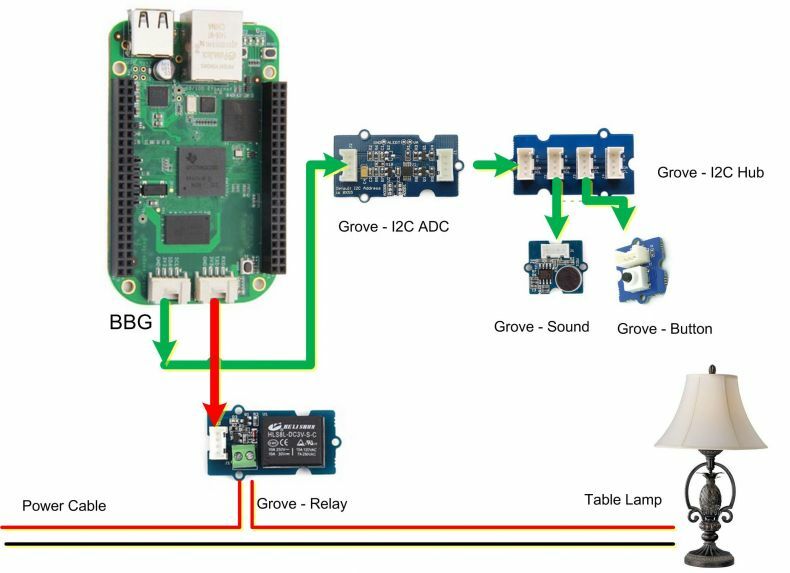 Second, connect the Grove modules to each other with Grove cables as the picture below shows. Last, connect BBG to your PC through micro USB cable, and connect the BBG Ethernet port to your home router by Ethernet cable. First, your shoud set your BBG Grove - UART Port as GPIO port, if you don’t know how to set it, please follow here. You can download the example code by click this link. Copy the “ExampleCode” to “/var/lib/cloud9/”. Then open the “light_server.py” in your cloud9 compiler, and run it. Now, you can clilk here http://beaglebone.local:8000/ to turn on/off your table lamp, just as the picture below shows. If you want to remote control your table lamp at home, you should know your BBG’s IP address by input “ifconfig” command in the terminal. As shown is the figure below. My computer in the LAN IP address is 192.168.21.85, so I can visit this link http://192.168.21.85:8000/ to control the desk lamp. You can also click “About” label to get some brief info about BBG. You can press the Grove Button as well as make some sound to turn on/off the table lamp.